Biofeedback is a way to measure the body’s physiological responses in real time, and a tool to learn to control them. Biofeedback generally relies on machines that measure heart rate, muscle tension or even brain waves, and usually requires a therapist or other health professional to operate the machine, explain what the readings mean, and work with clients to incorporate the information into lifestyle changes. However, there are some exceptions to this, which we’ll discuss later on in this article. 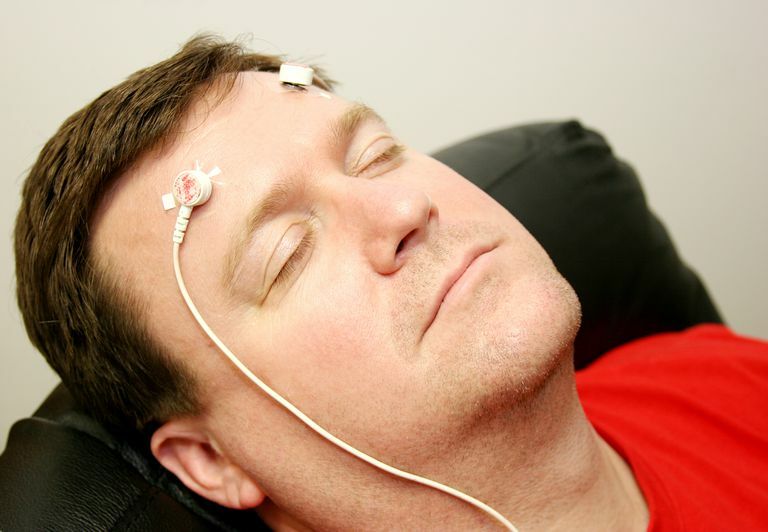 Most often, biofeedback helps people control their stress response, by realizing when it’s underway and employing relaxation techniques like deep breathing, visualizations, and meditation to calm their physiological arousal. Many of the benefits of biofeedback simply come from the increased relaxation in your body and the lack of a chronically triggered fight-or-flight response. Because chronic stress can be a trigger for many negative health symptoms, this can offer a significant and palpable improvement in the way people feel and how their bodies function. By helping you learn how your body is currently functioning, biofeedback can help you to know what to change. Also, by showing you in ‘real time’ which relaxation techniques are working and which aren’t, you’re able to more easily grasp effective ways to relax your body’s physiology and incorporate healthier habits into your lifestyle. Because biofeedback can with stress-related conditions by helping to reverse the stress response (and help you keep from letting it be triggered in the first place! ), it can be useful with a variety of conditions. Biofeedback has been popularly used for anxiety, tension headaches, pain, IBS, general stress, and several other conditions. Physical Awareness: Some physical responses can be easily sensed without equipment, of course. When your body becomes tense, that’s a natural message that you’re stressed. Shallow breathing can be another. Becoming aware of your body’s stress signals can arguably be a sort of natural form of ‘biofeedback’. Household Tools: Scales, thermometers, and even mirrors can tell you about some of your body’s functioning by pointing out excess weight, fevers, and visible signs of stress like acne. Both of these methods tell you about your physiology and help you to know that healthy changes are required, but are only the tip of the iceberg. Traditional biofeedback usually involves much more sophisticated measurements that can change more rapidly and are more difficult for the layperson to detect on their own. Usually, standard biofeedback necessitates the use of a biofeedback technician—a therapist or health professional—but recently, home biofeedback equipment has become readily available to consumers. Wild Divine is a pioneer in this field, and has created a home biofeedback system that hooks up to your home computer, takes measurements from three fingers, and tells you in real time how your physiology is responding to the meditation and stress management techniques it teaches you with the help of health gurus like Deepak Chopra, Dr. Dean Ornish, and Dr. Andrew Weil. I've used their system and personally think it's great. As mentioned, there are also many biofeedback practitioners out there who can help you understand how your physiology is responding to stress, and help you to perfect strategies to calm your body and your mind, and stay healthier in the process. One of the best ways to find a good practitioner is to ask your doctor for a referral.